I’m still working on the newsletter, but since I had to wade through the May posts to get to anything I missed in April, I have some things I can give you now. The newsletter will be up later tonight. I just need to go through the various author websites and get the master interview list compiled (which will be posted via facebook). I hope you guys can forgive me for not posting it sooner than this. I haven’t missed a newsletter since I started LE and I really am not going to start now, so there will be one. 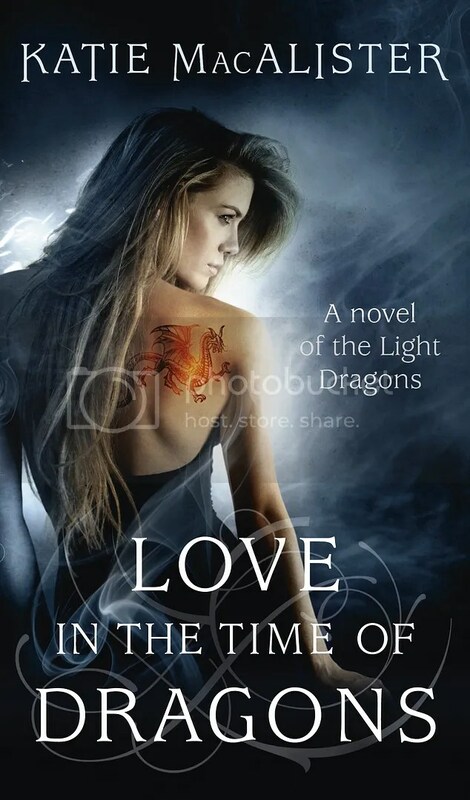 Katie MacAlister has posted the UK cover for the first Light Dragons novel, Love in the Time of Dragons, which will be out in the UK in November. If you haven’t heard already, Legend of the Seeker hasn’t been renewed for a third season and there are a lot of people who are unhappy with that decision. There are fans that are so unhappy that SciFi Wire is reporting that a ton of them has raised over $10,000 and will be using it for an ad campaign to find it a new home. Talk about dedication to a series. Marjorie Liu has posted an excerpt for her upcoming novel, A Wild Light. Ilona Andrews has posted an excerpt for Kate Daniels #5. Lauren Dane has posted an excerpt for her upcoming novel, Insatiable, the third Federation/first Phantom Corps novel. Keri Arthur has posted an excerpt for the last Riley Jenson novel, Moon Sworn. This is just too hilarious not to mention. Ilona Andrews has received an interesting review for Magic Bleeds and it inspires an interesting Twitter conversation between Kate, Curran and Jim. Seriously, go read it…it’s a riot! Mom’s Mutterings is giving away a copy of Grace Coopersmith’s (aka Marta Acosta) Nancy’s Theory of Style. Contest ends May 28th. giving away a copy of Leanna Renee Heiber’s The Strangely Beautiful Tale of Miss Percy Parker or The Darkly Luminous Fight for Persephone Parker (winner’s choice). Contest ends May 10.
giving away a copy of Ransom Stephens’ The God Patent. Contest ends May 15th. giving away a copy of Jess Haines’ Hunted by the Others. Contest ends May 16th. giving away two copies of Linda Howard’s Blood Born. Contest ends May 19th. Rachel Vincent is giving away three signed copies of My Soul to Keep. Contest ends May 24th. Chloe Neill is giving away two arcs of the third Chicagoland Vampires novel, Twice Bitten. Contest ends May 15th. Ellz Readz has discovered a bunch of contests as well as All Things Urban Fantasy has posted her latest contest collections. Angieville is giving away an ARC of Maggie Stiefvater’s Linger. Contest ends May 12th.